When I visited Tallinn in September (find out about my Tallinn trip here) I also decided to spend a day in Helsinki. 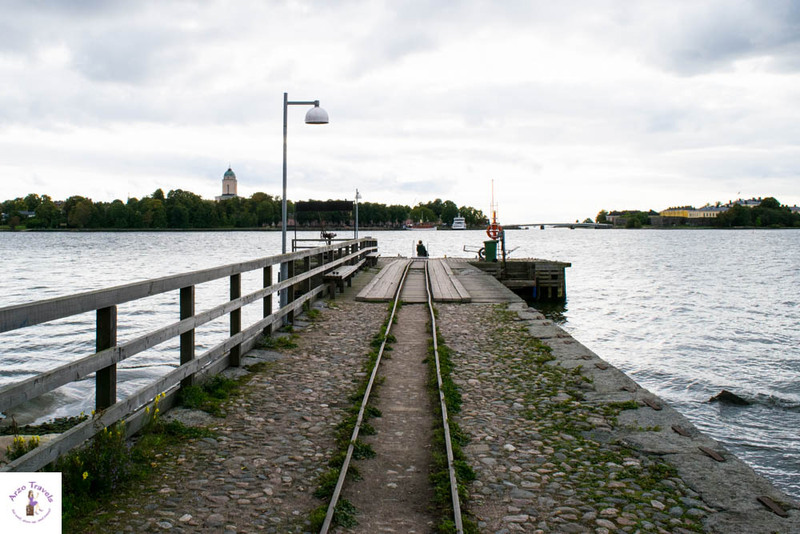 It seems, a day trip from Tallinn to Helsinki is a great idea since it is so easy to get from one place to the other. 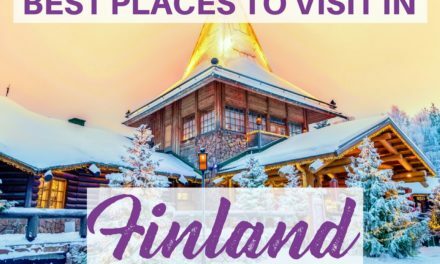 While I admit that Finland, and especially Helsinki is not probably the first place to visit in Europe as an American, it is a fun place to see if you are in Europe for longer. Honestly, I was not blown away by Helsinki. It is a beautiful city and enjoyed my one day Helsinki but it hasn’t become my favorite place in Europe. 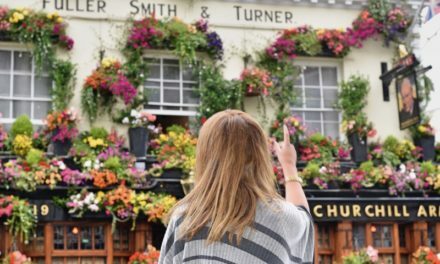 However, one has stolen my heart and here are my top tips for things to do. 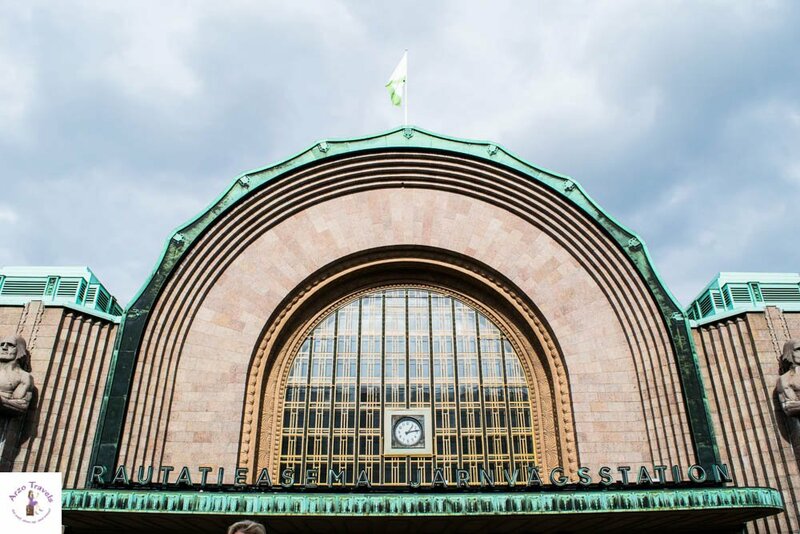 Before discussing your Helsinki itinerary, here is some info for your trip to Helsinki. 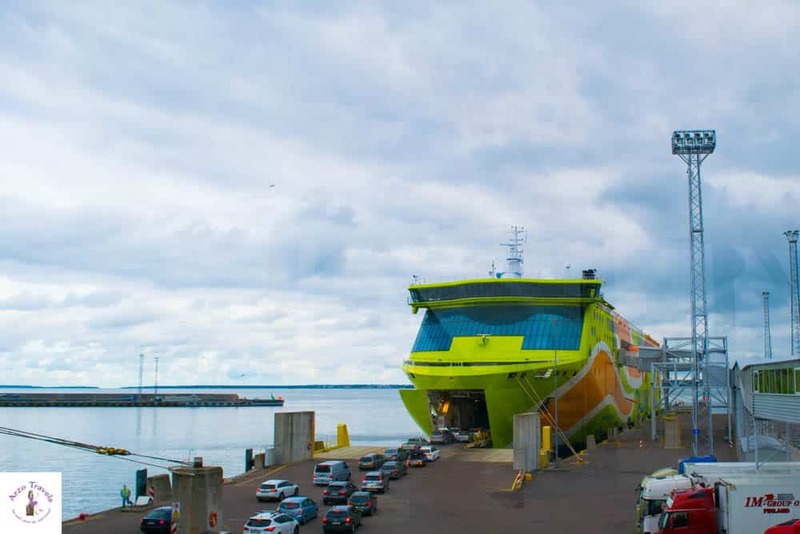 The best way to get from Tallinn to Helsinki (or the other way around) is to take a ferry. It takes about 10 minutes by bus from the old town of Tallinn to the Tallinn harbor. 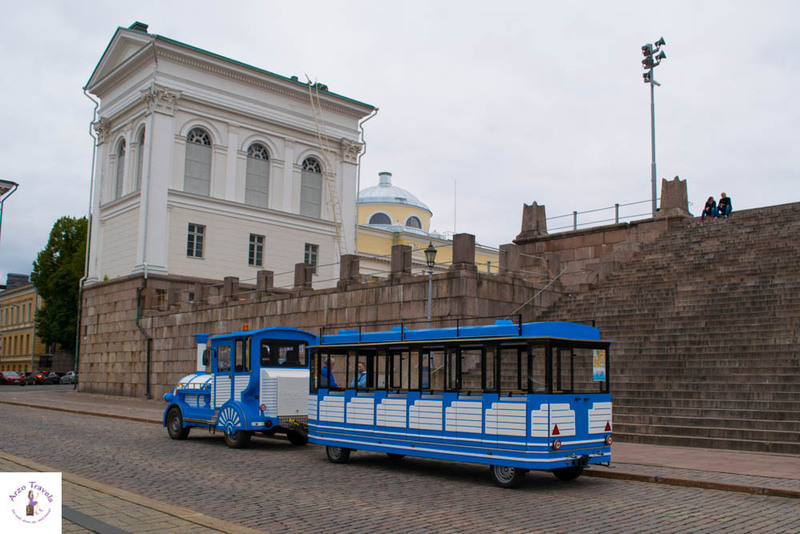 It takes about 15 minutes from Helsinki harbor to Helsinki city center by tram. For the ferry ride, you can either check-in online or at the terminal. You definitely need to have your passport ready. I got my tickets in advance and checked in a few hours before my departure. I love ferry/boat rides, they are probably my most favorite transport mean. If I love something more than ferry rides it is food. Taking a ferry with the Estonian shipping line Tallink from Tallinn to Helsinki in the Business Class was a perfect choice for me, as it combined those two things. So it does not come as a surprise that I enjoyed my ferry ride. If you are on a budget you can check out the other categories as well. They should be also more than fine as the ferry left a very good impression. Business Class, however, comes with a good choice of drinks and a buffet. There is also free and fast wifi, newspapers and magazines and clean toilets. Tallink recommends arriving at least 30 minutes before departure. It really makes sense because after “check-in“ it still takes some walking before actually arriving at the ferry. 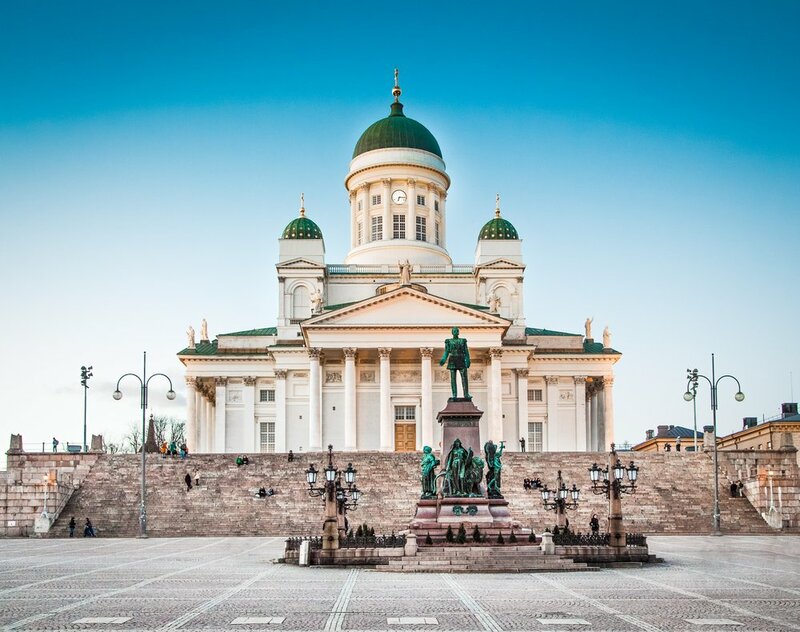 One you are in Helsinki you can start straight away with finding its popular hotspots. 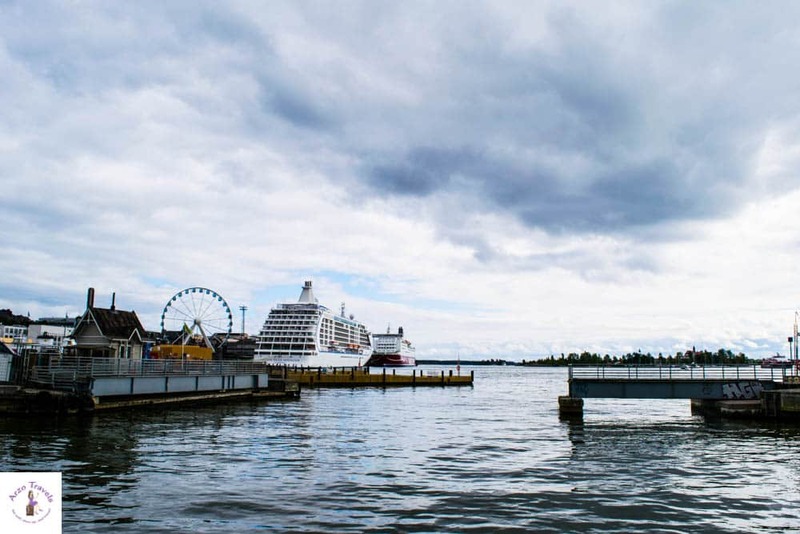 Okay, let´s start with a one day Helsinki itinerary – what to see and what to do in one day. 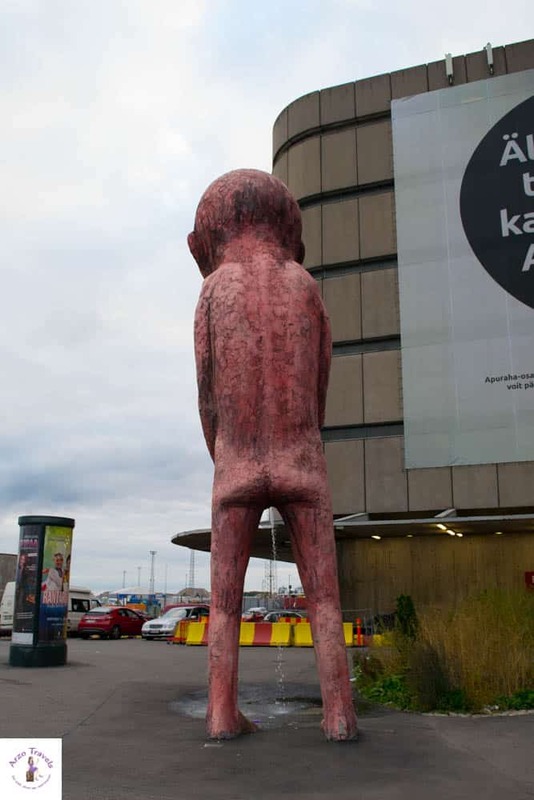 I had about 8 hours in Helsinki and zero ideas about what to do. This day was not planned or organized and so I just started my Helsinki trip in the city center. To be more precious I started at the railway station which has become quite an attraction in Helsinki. I went inside and think it is nice but if you are in a rush you can skip it. I headed to the market square next to the water. The market was busy and might be inviting for a nice stroll – I was overwhelmed by all the fur that was sold there and thus had to escape quickly. I was happy to spot an “Island Hopping“ tour which stops on three islands (JT-Line, ticket 7€). It was after lunchtime, and so I did not have time to visit all three islands. 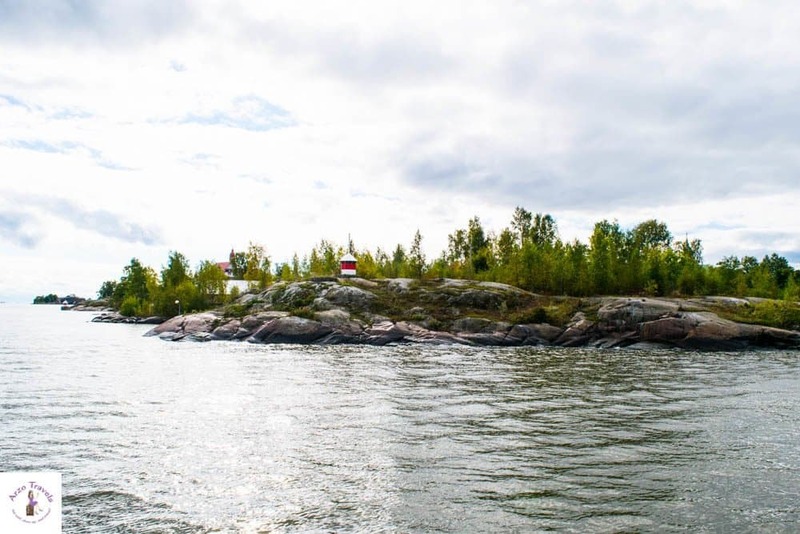 The three island are Suomenlinna Sea Fortress, Lonna Island and Vallisaari and Kunninkaansaari Islands. 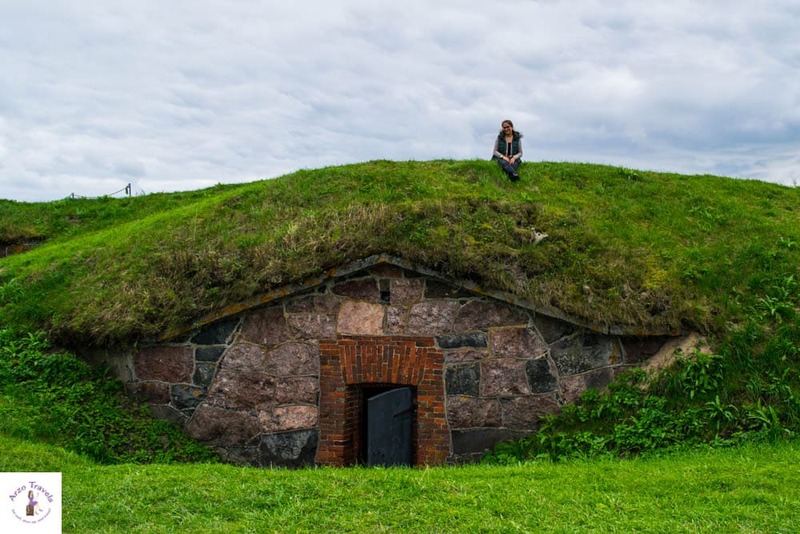 I only visited Lonna Island and Suomenlinna Sea Fortress. While the latter island was awesome and my travel highlight in Helsinki I recommend skipping Loona Island. It was a little boring and there was not much to see. Thus I ended up sitting in a cafe where I had some nice but overpriced waffles. 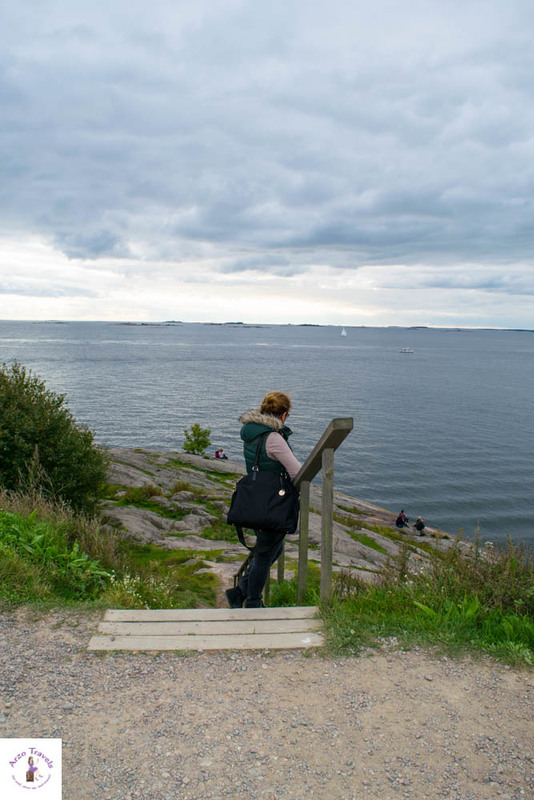 Suomenlinna Sea Fortress was more beautiful than the photos on the leaflet pictured. So green, so lush, so pretty and full of history (and I should not forget to emphasize those little Hobbit houses) I really enjoyed the island. Suomenlinna Sea Fortress how cute are these houses? It is so picturesque and I could have spent much more time if I had not been in a rush because I had to catch the last boat. According to some information at the ticket center visitors should plan in 2 hours to see all of the islands. I definitely agree that it is hard to see all within 1 hour. Though I often rush through places/attractions, this is definitely a place I would have liked to stay much longer at. 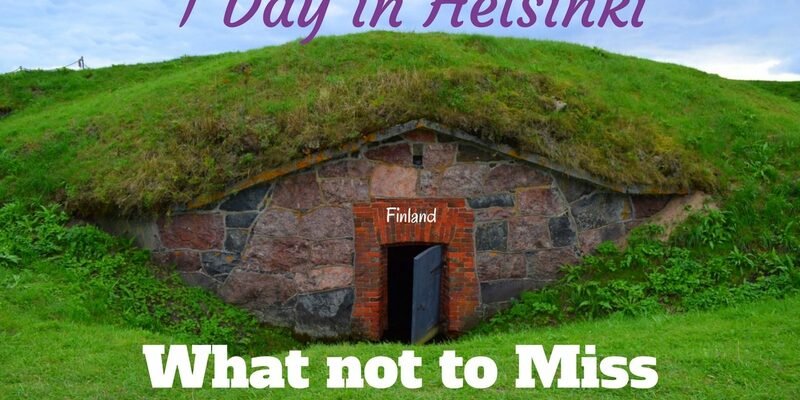 It is a UNESCO World Heritage Site and not surprisingly one of Finland´s most popular tourist attraction. 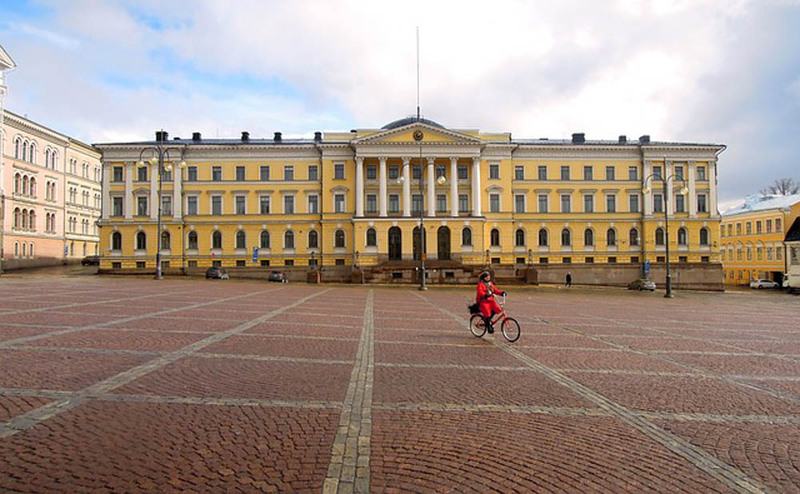 It was built in the mid 18.th century to defend the country (back then Finland belonged to the Kingdom of Sweden) and was taken by Russia a few decades later. 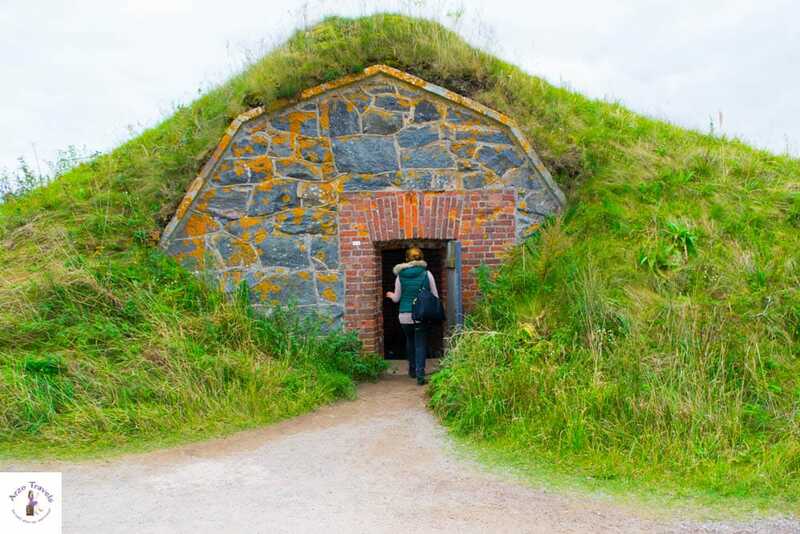 After Finland´s independence from Russia in the 20.th century, Finland overtook the fortress again and it is now open to the public without an extra entrance fee. I really liked the island which I just discovered coincidentally and can highly recommend if the weather is good. So when I left the island and I already knew that Helsinki was worth the trip. Back on the mainland, I got a ticket for the minibus tour which started at the Senate Square. The tour itself was quite short (8€) but I saw some buildings on my way which I then decided to check out again after the tour. Since I did not have much clue what to do I left Helsinki about an hour earlier than planned and headed to the port to catch my ferry. I am sure Helsinki has much more to offer and if the weather had been warmer and I would have planned my day better and I would have seen much more. However, I think Helsinki makes a great day trip from cities like Tallinn or Stockholm and I can definitely recommend visiting Helsinki. 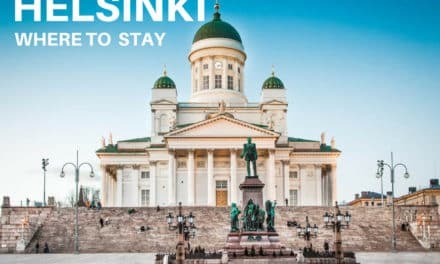 If you want to visit Helsinki for longer and stay overnight, you can check out the best hotel deals here. Though I am sad I did not make the most of it visiting the island was already a highlight and the whole trip was worth of that alone. I am looking forward to spending more time in Finland since the pictures of Evan Kristine convinced me to re-visit and spend more than 1 day in Finland (read more here). 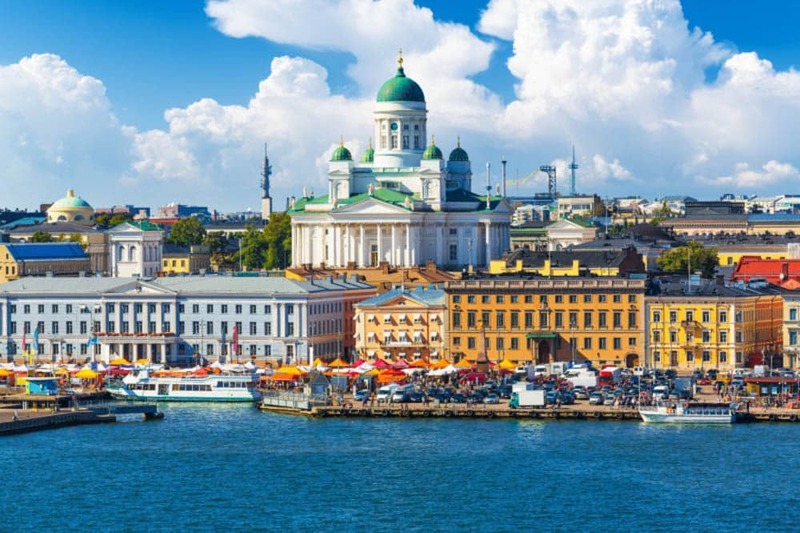 Since you are reading this post you are already better prepared than I had ever been for my Helsinki trip – if you want to be the best way prepared that you can book tours in Helsinki in advance (unfortunately the island hopping tour is not bookable online). 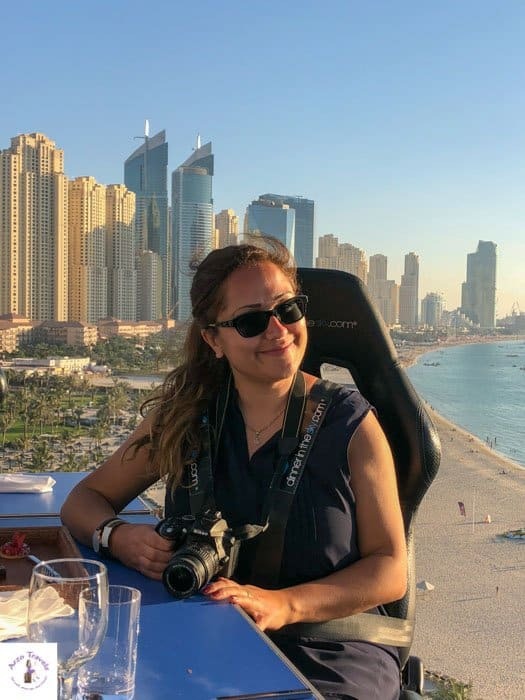 I use GetYourGuide for most of the tours that I book, and I strongly and honestly recommend them to you if you like to have a reliable website where you can book all kind of tours throughout the world. 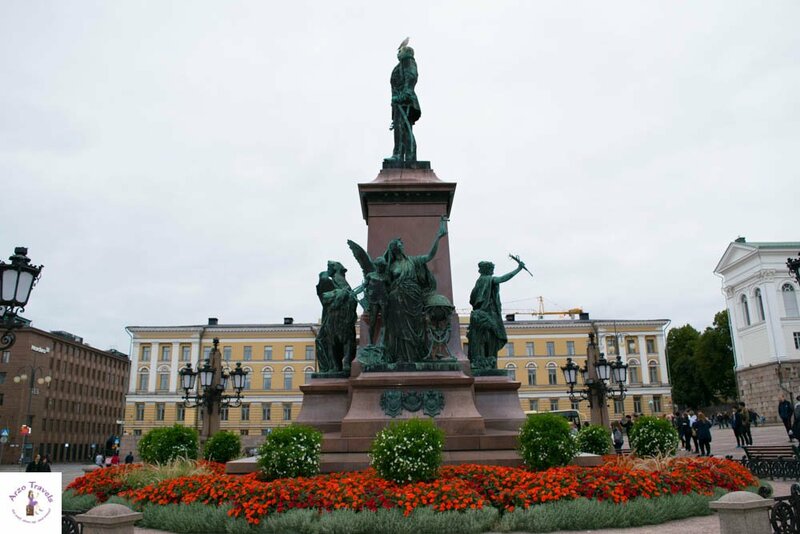 So check out different tours in Helsinki if you like to explore more of it. Disclaimer: Tallinnk provided me with a ferry ticket, but, as always, opinions are my own. This post contains also affiliate links which mean I might earn a small commission when you buy a product (at no extra cost to you) after clicking on my link. More about it here.